A Professional O&M services can play a major role in protecting your solar PV plant profitability and improving the ROI from your investment. A well managed O&M is an absolute necessity sustained plant performance over the lifetime of the plant. While the cost of solar installation has come down drastically over past few years, its still a significant investment for any establishment. A solar plant has an operational life of minimum 25 years with performance warranty from solar panel manufacturers and other suppliers. However, one needs to ensure that solar panel, inverters and other equipment are operated as per OEM requirement. Efficient technical and administrative services including module cleaning, plant security, local coordination for solar facility for trouble free plant operations with strict adherence to plant health, safety and applicable regulations. 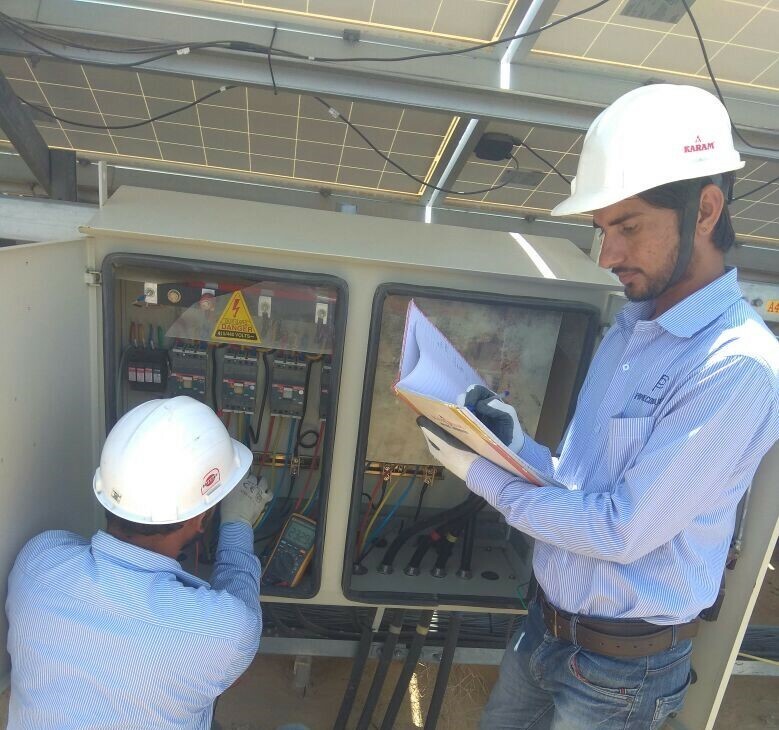 Extensive plant inspection and testing to identify scope of efficiency improvement to increase ROI from existing solar plant. Centralized remote monitoring processes for all operational units, real time weather data, equipment level performance data, preventive alerts for trouble free plant operations. 2019 © LNB Renewable, All Rights Reserved.